Help out the homeless . People without food,shelter,water, and bearly chlothes. An estimate of 100 million people are homeless in the world. We are making a fundraiser to help out the homeless. We are making a basketball bash for all the kids that want to have fun and help at the same time. Were is the Basketball Bash going to be? The basketball bash will be at Boulter Middle School at 2:15 on june the second. Alomost every day any body can become homeless. By not getting there check on time so there power go off or they get fired and they dont have money for food. How we can help our homeless? 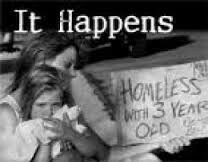 We can help our homelessness by stoping on streets everytime we see one. We can give some of our unecessary clothes, or give them some money for them to buy them selfs something to eat. We are trying to build a shelter for those who dont have one. WE CAN HELP TO MAKE THE WORLD A BETTER PLACE!